Camperbug is happy to present our enthusiastic explorers with a broad list of motorhome lenders in the county of Morayshire and across the UK. 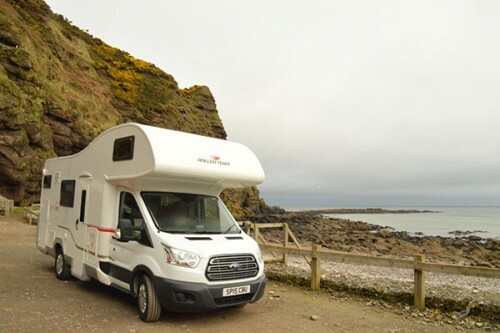 Hire motorhomes in Burghead, Duffus, Findhorn, Elgin, Fochabers, Lossiemouth and more from merry motorhome owners and eager voyagers like you! A large portion of our lenders are travel enthusiasts and can provide in-depth travel advice. You’ll need to login to your Camperbug account, select your dates of travel and scroll through the list of untaken motorhomes in the region of Morayshire. Ask the motorhome lender and get great offers on travel extras like awnings! We encourage motorhome owners to sign up with Camperbug. Not only will you get access to our incredible list of motorhome rentees, but you’ll also get the opportunity to earn! The county of Morayshire is on the south coast and was formerly known by the name of Elginshire. The county runs from deep inland and joins the beach for 30 miles. The region of Moray was occupied by the Pictish people right until the 9th century when the lands joined with the Scottish owned territories. Moray brought forth two kings, Lulach and Macbeth. Moray Firth is renowned for its striking cliff vistas and lazy seaside resorts. The county town of Elgin carries a wealth of medieval history including a crumbling yet majestic Elgin Cathedral. Moray Speyside is one of the best locations to spot resident dolphins! Get your Moray motorhome hire from Camperbug and drink in the sights and sounds! I am earl-zefiro, hire me today! Luxury fully equipped Roller Team Zefiro 675 Motorhome Based near to Inverness Airport ideally situated for touring the North East 250 or North 500 as well as the Cairngorm National Park, Snow Roads or Aviemore. This is truly an exceptional base to explore from.